You don't have to live in a cold climate to assemble this adorable snowman! 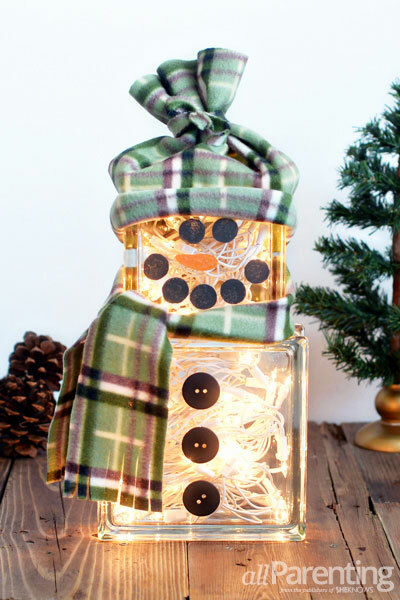 Some simple glass blocks and Christmas lights come together to make a cute lighted snowman with no chance of melting! Remove the cap from the opening of the small Krafty Blok. 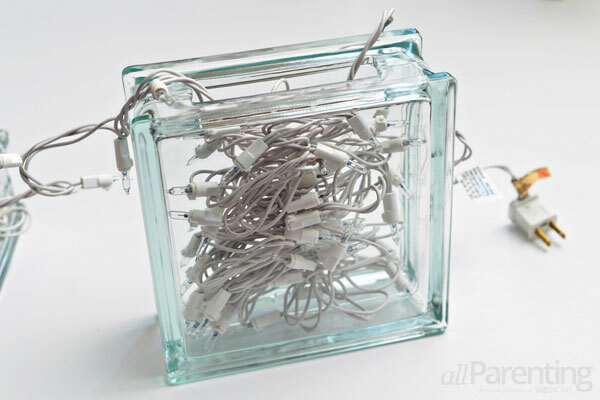 Feed 1/3 of the strand of lights into the block. Stuff the rest of the lights into the large Krafty Blok. 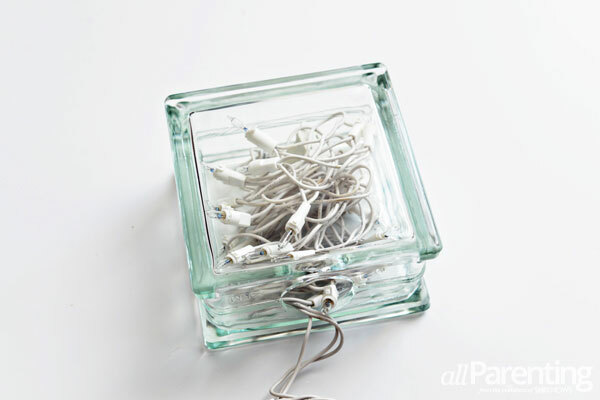 Be sure to leave a couple of feet of the cord outside the block so that you can plug the lights in. Position the small block on top of the large block with the openings facing each other. 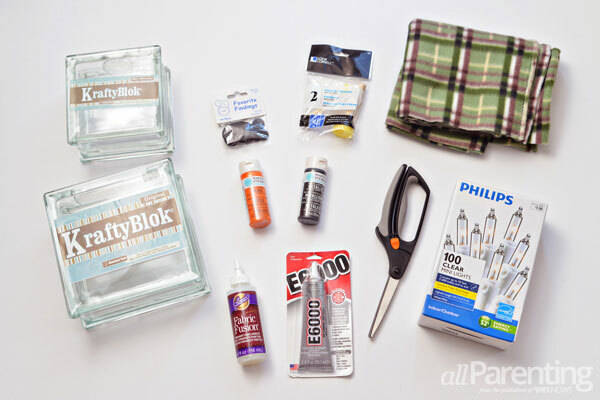 Use the E6000 adhesive to glue the 2 blocks together. 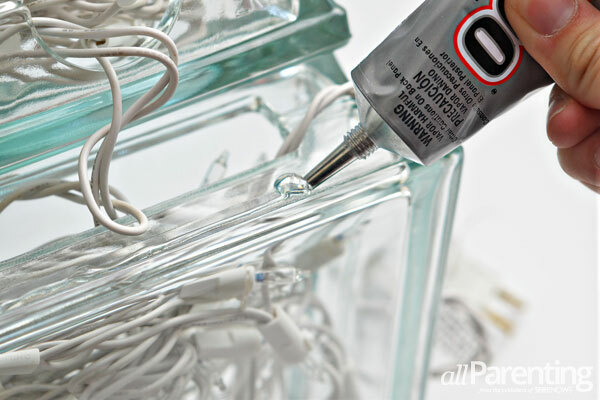 Allow the blocks to set for at least 1 hour until the glue has cured. 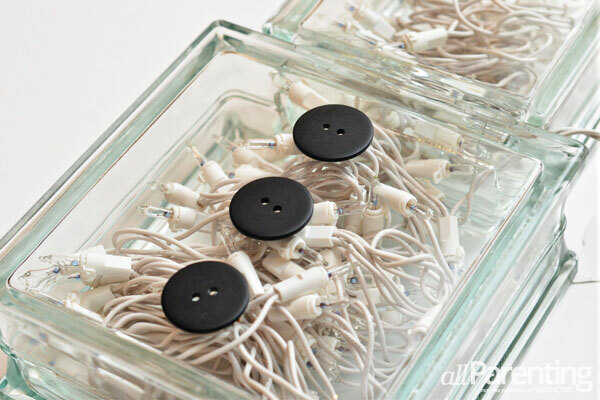 Glue 3 black buttons to the front of the large glass block. Use the circle paint brush to paint eyes and a mouth on the small glass block with the black paint, then paint a carrot nose with the orange paint. 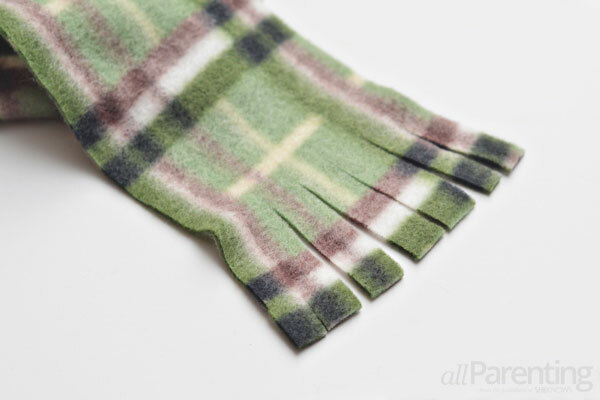 While the paint dries, make a scarf by cutting a piece of fleece that is 4 inches wide and 2-1/2 feet long. 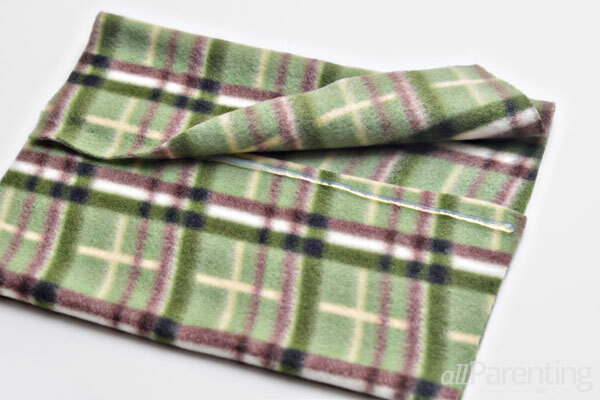 Cut fringe into both ends of the fleece. 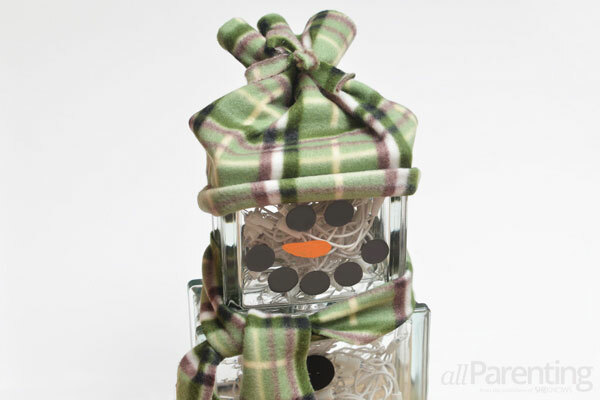 Wrap a piece of fleece around the small glass block to determine the size of the snowman's hat. Cut out a piece of fleece that is 2 inches longer than the perimeter of the snowman's head, and about 12 inches tall. 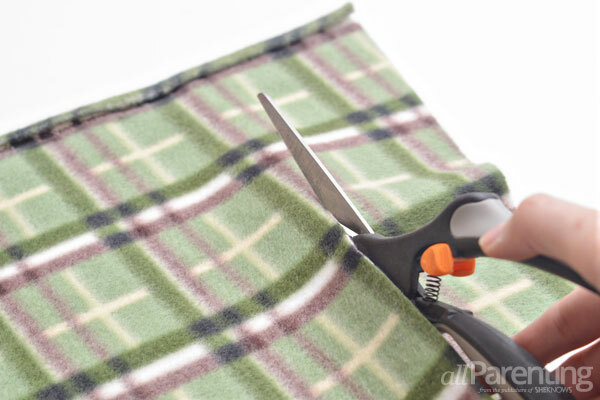 Fold the fleece to make a tube and glue the edges of the fleece so that they overlap by 1 inch, leaving the tube open at the top and bottom. 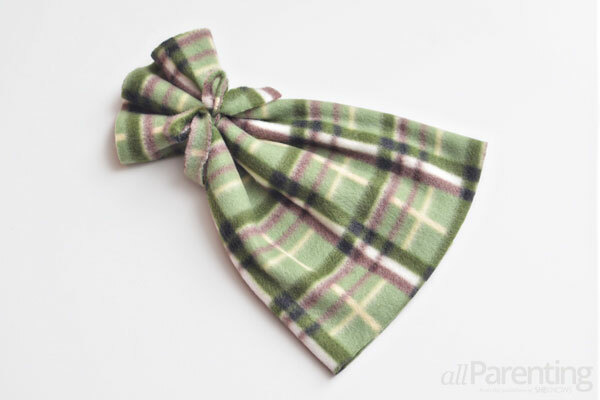 Cut a narrow strip of fleece and use it to tie the top of the fleece tube closed to make the hat. Roll up the bottom of the hat and slide it on top of the snowman's head, and then tie the fleece scarf around the snowman's neck. 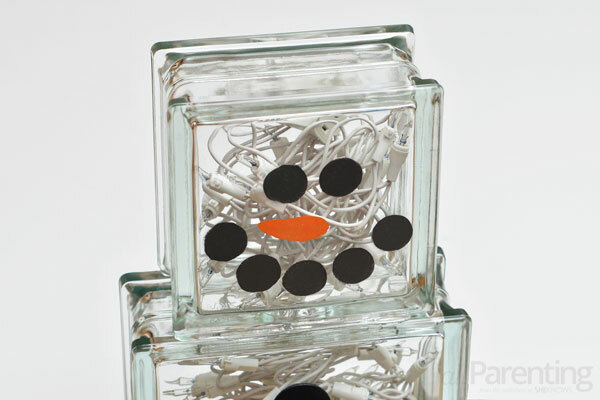 Now your snowman is ready to plug in and enjoy!